This one came up on Reverb in April 2015 with an asking price of $2,500. That seems reasonable, but it will be hard to source an OEM replacement switch. 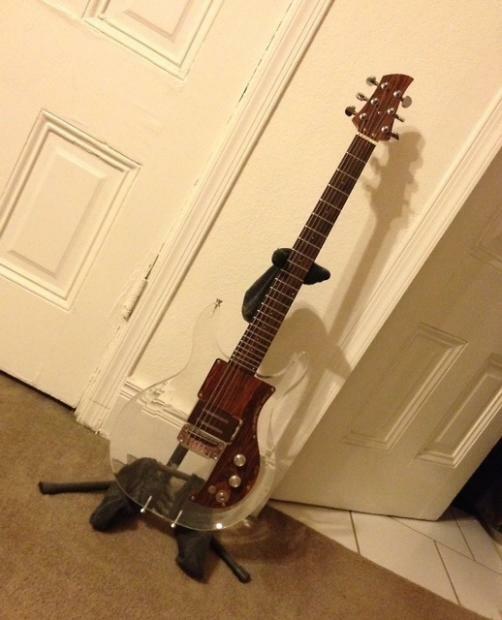 "This is a 1970 Ampeg Dan Armstrong Lucite guitar. These were only initially made from 1969-1970 and have since been reissued. This is an original one, with 2 of the replaceable pickups and the original case. 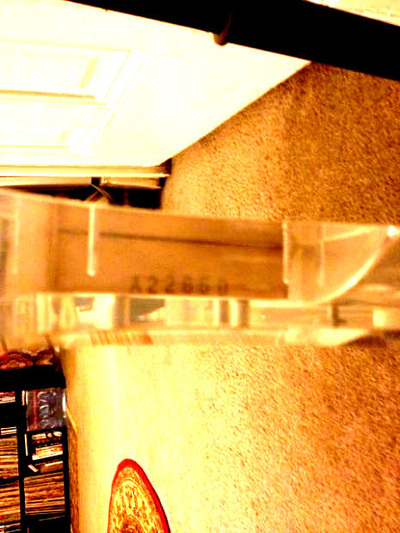 The guitars and basses used the same case, so the case can fit either one." "The only flaw is that the tone cap selector switch has been removed. 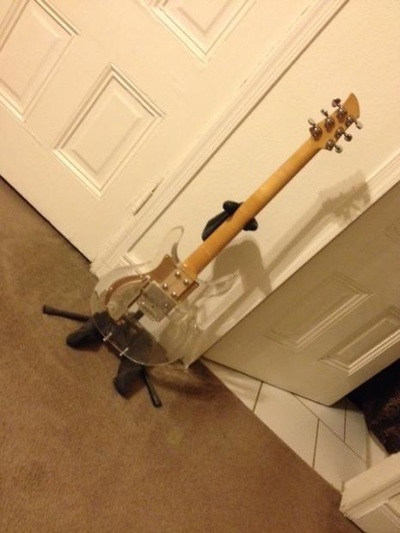 I got the guitar like that and simply plugged the hole with a metal washer. You can easily find any 2 position selector switch and bring it back to 100%, but it's not a really useable feature, as it is. The input jack has also created some cracking along the flimsy pickguard, so a reinforcement washer was put around that." 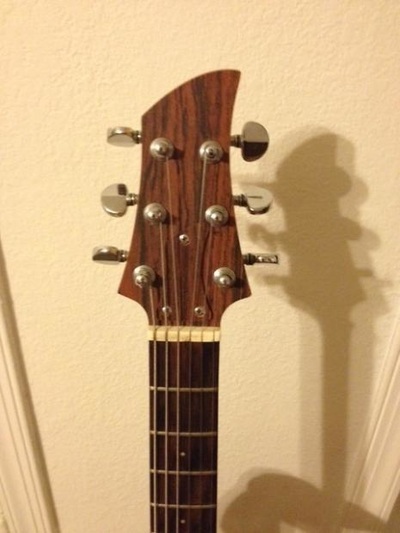 "The guitar is a 24 Fret neck, ideal for slide playing. The pickups included are the Single rail and double coil pickups." "Lots of my favorite players have wielded this hard to find guitar: Keith Richards, Ronnie Wood, Rick Richards, Rich Robinson, Charlie Starr, Cyril Jordan, etc. It's a great oddity and sure to draw some attention live."